Name an Icelandic whale-watching boat and win a trip to Greenland! The newest addition to North Sailing’s fleet – an electric renovated oak boast branded as “the world’s most environmentally friendly whale-watching boat” – needs a good name. They are asking you to submit your suggestions online and are offering a glittering prize for the winner. 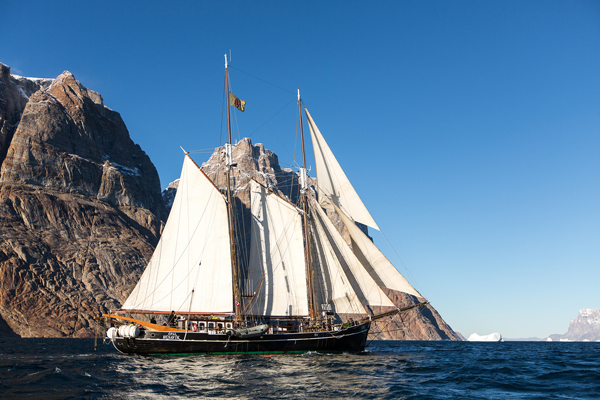 The proposer of the winner name will win a trip for two to the Scoresby Sund fjords in East Greenland on North Sailing’s schooner Opal – a prize worth over €10,000! So get your creative thinking-caps on and submit your idea to North Sailing here. The deadline for entries is 20 June, as the new boat – whatever it will be called – begins operations on 1 July. Good luck!